100 years passed since RMS Titanic sank in Atlantic ocean. The wreck of Titanic as memorial of the tragedy is located deeply underwater on the seabed. 12 415 feet (3784 meters) below see level to be exact. For shipwreck divers it would be like diamond. Unfortunately it is located too deep and ship wreck is accessible only on submarines tours which cost ~60000$US. Ouch..
But…There is one place, which must be on to do list of every keen shipwreck diver or any recreational diver who might wiling to do only one shipwreck dive. On my trip to Vanutau…Stop! Vanuatu? Where it is? Vanuatu archipelago is located east of northern Australia and north of New Zealand. Here is the map. So, lets continue. On my trip to Vanuatu the main attraction on my list was Mount Yasar. It is active and one of most easy accessible volcanoes in the world ( I’ll write separate post for it later). But after spending some time and researching what else to see and to do in Vanuatu I found one thing I never heard about before. On Espiritu Santo island (the largest island in Vanuatu) you can dive SS President Coolidge which is probably is perhaps the most accessible shipwreck of this size and type in the world. When I saw pictures of the ship I involuntary started compare it with Titanic. SS President Coolidge isn’t such large as Titanic, but still it is 654 feet/199 meters in length (Titanic’s length is 882 feet/269 meters). 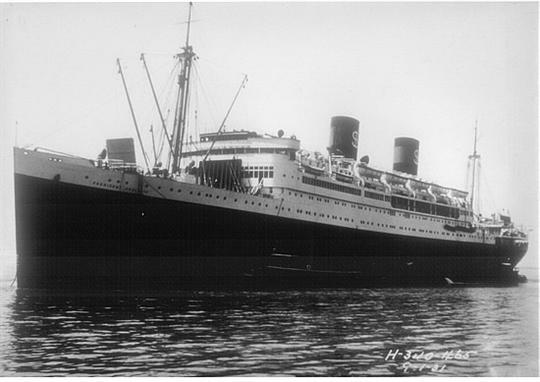 SS President Coolidge was build as a luxury liner providing trans-pacific passage and commercial service. On the ship was spacious staterooms and lounges, private telephones for passengers, saltwater swimming pools, beauty salon, gymnasium and etc. During Second World War SS President Coolidge was converted to troop carrier. It could carry over 5000 troops and was never intended to see any action. During the War on Espiritu Santo island was established large military base with harbor heavily protected by mines. 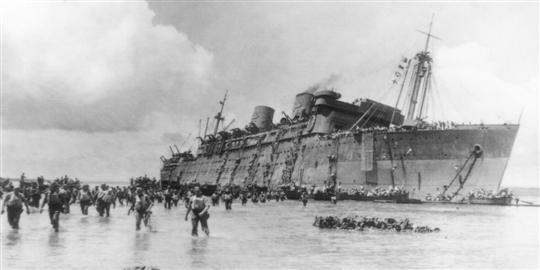 In late 1942 SS President Coolidge was struck by two mines during entry to this harbor, but happily most troops (except 2) safely reached the shore before ship sank. In 1983 Vanuatu government declared that no recovery of any artifact would be allowed from the Coolidge. Since then it become as one of the best playground for divers in the world. Divers can see guns, cannons, Jeeps, helmets, trucks and personal supplies. It is so close to the shore and during low tide you can put on your diving gear and just walk to the wreck as these troops in the above picture. To see everything or almost everything you’ll need at least 10-15 dives. Also you can do night dives. This means you need to stay at least a week on the island to explore the ship. I hadn’t so much time as I found out about this ship almost at last minute of my trip to Vanuatu. I manage to dive only two times and saw only bow, but still it was very impressive and I would love to come back to this site. You don’t need to have ship wreck diver certification as all dives are guided so you shouldn’t worry about it. There are couple diving shops in Santo. I was using Allan Power Dive Tours and happy to recommend it. Thought it is quite a trip to get there now. Couple years ago it was direct flight from Brisbane in Australia to Santo, but now the only option is trip with stop over in capital Port Vila. But in clear day it is very beautiful flight with view to over islands. I didn’t know that! I have walked on the wrecks of the “so-called” iron-bottomed sound in the Solomons – where there are of 1/2 submerged American and Japanese ships! Great for the less confident diver! I can snorkel but I’ve never got dive certified and going inside a wreck would scare the bejeezus out of me! You can still get certificate with so many diving sites in New Zealand and around it. It is amazing world under water. I can snorkel but I’ve never got dive certified and going inside a wreck would scare the bejeezus out of me!Thanks for sharing. 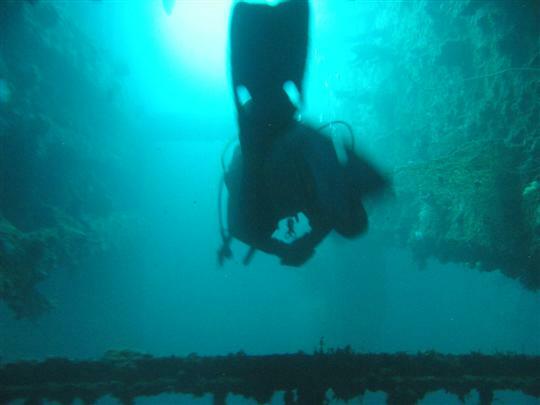 Diving under a bow and going inside a wreck can be an amazing adventure for one. It would be interesting to see “land divers” – origin of bungee jump – in Pentecost Island. I remember Vanuatu from Survivor 6 years ago. I am glad to hear that the sinking of the SS President Coolidge did not lead to severe life loss. At least, when you go diving you do not get haunted by a tragedy such as the titanic.